I remember the classes well, even though they were some 10 plus years ago now. It was a real eye-opener for everyone in the class, and while you kind of have to go back to the basics, it doesn’t take too long to get some pretty interesting, and above all melodic, results. At that point we realized we were playing the good old Minor Pentatonic Scale, only now it sounded completely different, like rediscovering the scale in a melodic way. 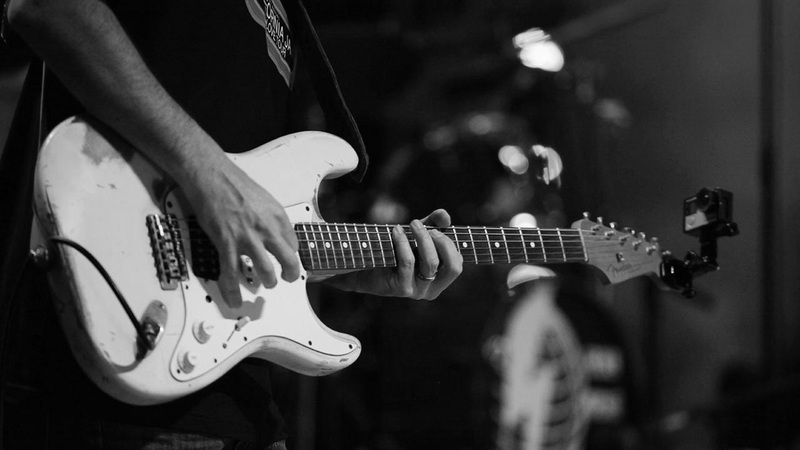 I guess it comes down to creating an awareness of where the strong notes are, and beginning to choose the notes you play, rather than just blasting through the scale, or playing a bunch of well-worn licks. It’s at this point that you can see both how powerful this technique is, and also how much work is required to really incorporate it into your playing, the latter being what most of the guitarists in the room seemed more concerned about. I believe it works simply because the nature of learning scales in this way forces you to think melodically as oppose to working with a linear set of notes in box pattern, and it certainly beats the tedium of the CAGED system. Play around with the notes, we’ll use G as our starting note again. Really take your time on this as the more time you spend on each stage, the better your results will be. The #4 really defines the Lydian mode so make sure you take your time to hear it in contrast with the major triad. You now have the very essence of the Lydian mode and should be coming up with some interesting, and above all, Lydian sounding stuff—certainly beats running up and down scale patterns. Remember to take your time as you add each note in, there’s no rush. You now have all seven notes that comprise the Lydian scale but with a whole new perspective on how to play them! I find it’s worth spending a bit of time getting the 1, 3, 5 and 1, b3, 5 combinations down as these are the foundations for a great many scales. You can even think of most scales as major or minor triads with added notes. thanks for this innovative view angle, very impressive and clear minded.